The team’s season begins on Monday. 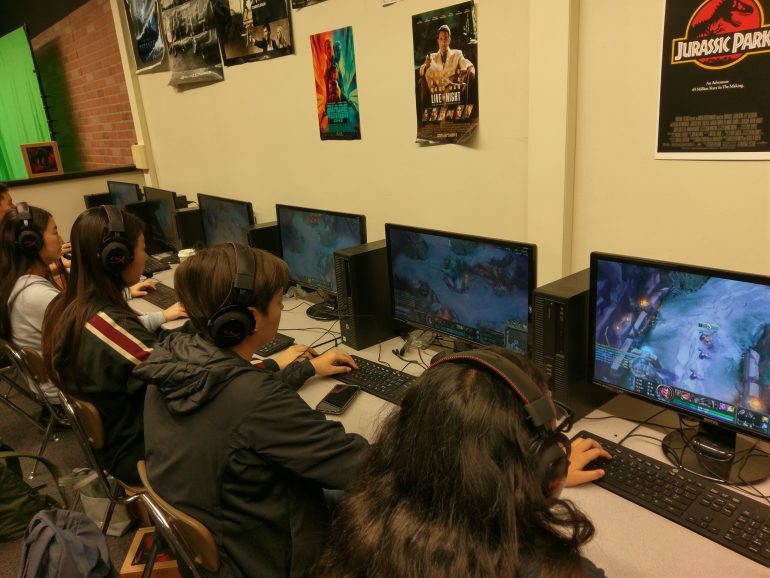 At a glance, the Troy Ladies of League is just like any other high school esports team. They practice for a couple of hours after school. They balance rigorous coursework and competitive gaming. They borrow computers from the Films Media Department—the only ones powerful enough to run League of Legends. But this isn’t just another high school esports club. When they load into their first competitive game with the North America Scholastic Esports Federation next week, they may be the first all-female high school esports team in the United States. 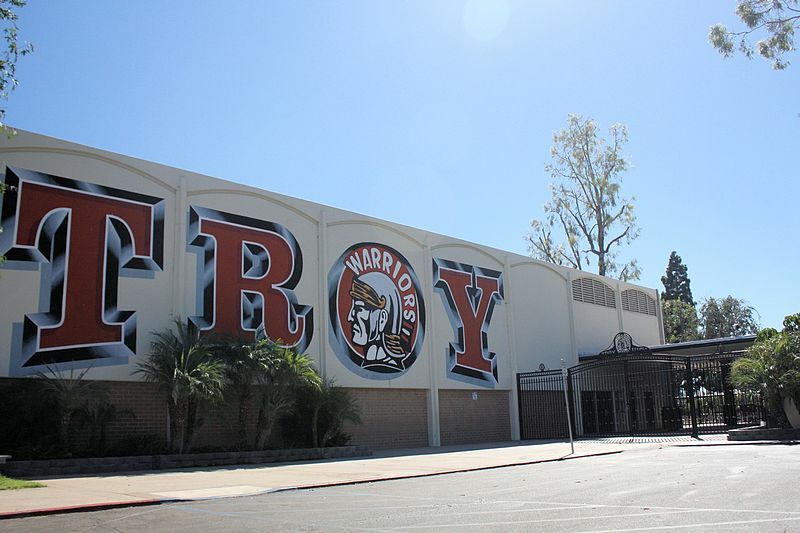 While most high schools haven’t even considered forming an esports team, Troy High School in Fullerton, California is ahead of the game. The school has competed in various esports over the years and produced notable professional players like Eugene “Pobelter” Park and Kevin “SlurpeeThief” Royston. But the school never had an all-female team—until this year. For general manager Carlos Aldaco, the primary objective isn’t whose Nexus falls first, but instead proving an all-female roster can compete like everyone else. Mindy Jun grew up gaming. Her older brother introduced her to console video games, but when he eventually moved out of the house, he took his consoles with him, which inadvertently introduced Jun to one of the most popular MOBAs in the world. A couple of her friends at Troy competed with the Overwatch team or played on the boys League of Legends team. Seeing them compete on a team made Jun realize she wanted to move past recreational gaming and pursue something more competitive. As Aldaco started the process of forming the all-female team last April, Jun joined. Since then, she’s gone on to recruit the other four starters on the team. Each of the starters are seniors at Troy High School and joined the League of Legends team for different reasons. Jaidalyn Bradley wanted a way to connect with other girls at Troy. Samantha Bae realized she wanted to play in a team environment. Emma Herrmann saw an opportunity to get out of her shell and lessen the stress of school by doing something she loves. But they all share a common goal. “We are going to be an example of how girls can play, and I definitely don’t want to let that up,” Bae said. The esports industry can be a hostile place for women. Since competitive gaming took off, it’s been a male-dominated field that doesn’t always lend itself to female gamers. Even professional corporations aren’t immune to these issues. Riot Games—the developer for League of Legends—faced accusations of gender discrimination late last year and was sued because of it. The fallout resulted in COO Scott Gelb being suspended for two months without pay. Women working for Riot Games described an uncomfortable “bro culture” that stifled promotion opportunities for women. Other employees felt the interview process was unequal for women who were interested in working for the company. Many agreed sexism underlined the core values of the corporation. These problems sometimes transcend into the games community itself. Some women avoid these issues by simply turning off their mic when gaming or choosing gender-neutral usernames. Aldaco said he feels partly responsible for the double standard women face. Building the team wasn’t a straightforward process for Aldaco—administrators had to get on board and he needed to find players. As the team began to form through word of mouth last spring, the administration started to see the significance behind what Aldaco was pushing for. Today, Aldaco’s accomplished something no one else has through creating the first high school all-female competitive League of Legends team. But he knows he’s only won half the battle. Aldaco worries about the negativity the team will inevitably encounter. The toxicity Aldaco knows the team will face fuels him. “It makes me want to push the girls to play even harder,” Aldaco said. Jun knows the team isn’t ready yet. Since all the starters are seniors, Aldaco prioritized college applications over practicing in the fall. The team has only had a few weeks of practice and they’ve identified what needs improvement. While the team works on building champion pools and improving team compositions, they are also aware of what they represent to esports and the responsibility that comes with it. When their regular season begins on Jan. 28, they aren’t quite sure what will happen next. Bradley hopes it will encourage other female gamers to join competitive teams in California and across the country. Aldaco hopes it will help change the toxic culture women face in gaming. To Jun, she doesn’t want to emphasize that they’re only a team of girls. Instead, she just wants to compete.